CFC-Free Pneumatic Cleaning Solvent Direct Injection — No More Bubbler Can! It's Made With Dupont's Vretrel® XM an ozonesafe HFC solvent. 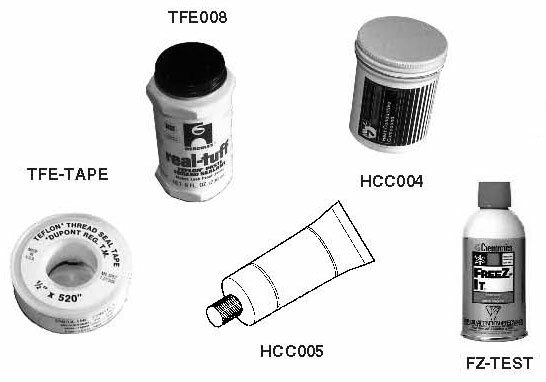 The old reliable TF solvent (CFC113) has been withdrawn from the market. Up until now, a suitable replacement has not been available. The new disposable aluminum canister makes it easier than ever to clean the dirt and oil out of your pneumatic tubing and components. Contains highest amount of active biocide of any product on market. 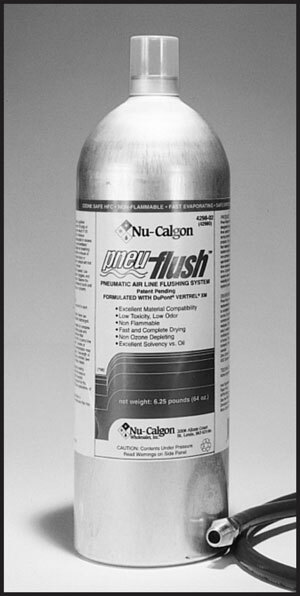 Only product permitted by EPA to make a Legionnaire’s Disease Bacteria kill claim! 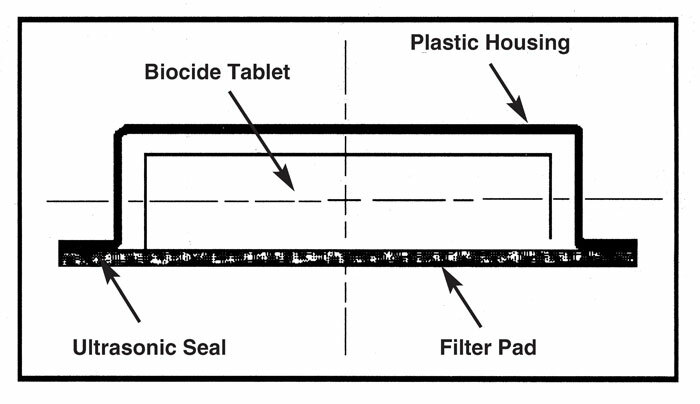 Filter pad meters a consistent biocide release for a 3 month service life.